Foster serves as President of Fundamental Wealth Advisors and brings almost three decades of experience as a financial advisor to FWA. He attributes his success in practice to the simple concept of treating others the way he would like to be treated. During this time, Foster has learned that serving someone as a financial advisor requires a relationship based on trust and commitment, and he knows that these are fundamental to the success of any relationship. Foster earned a BBA in Management from Texas A&M University in 1985. He holds the series 7 and 63 securities licenses along with a general life and health license. He has studied financial and retirement planning and completed his designation as a Certified Wealth Strategist®. As a CWS®, Foster works with his clients in navigating the 13 wealth management issues that many clients may face, helping them to understand the relationship between these issues and develop a strategy that addresses their individual needs. Throughout his career, Foster has been involved in many community activities. He is active in The Rotary Club of Aggieland and is serving his second term as its president in the last 20 years. 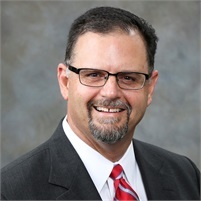 In addition, Foster is a member of the Bryan/College Station Chamber of Commerce, a graduate of Leadership Brazos, has served as an officer of the Brazos County A&M Club, chairman of the Brazos Valley Rehab Center and on the board of directors of Twin City Mission. Foster is married to Marcy and together they enjoy spending time with their daughter, Rachel and their son, Ryan and his wife, Meghan. Throughout their years as parents, they have enjoyed watching Ryan and Rachel play baseball and softball. Foster is an avid outdoorsman, enjoying hunting and fishing. In the years to come, he would also like to spend more time playing golf. Together Marcy and Foster serve their church, Bethel Lutheran Church in Bryan and enjoy the many friends that worship there with them.